Examining some petrified Jurassic wood samples at the museum recently, the curator commented on how much they looked like little fossilised mushrooms. They seemed like rotten but still cute versions of the foam mushroom sweets I loved as a child. The concept that they were ‘petrified’ was also intriguing. I imagined them cowering and trembling, scared out of their wits at being buried within the museum store. It was easy to feel sorry for the little poppets. I considered slipping one in my pocket in rescue. 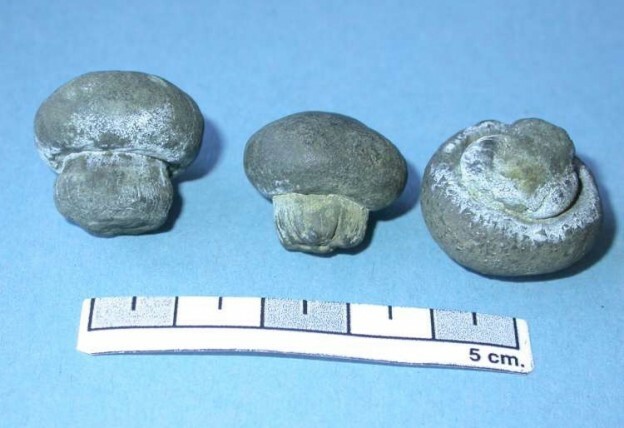 The petrified mushrooms have, rather tenuously, led me to think about being frightened. I am frightened of a lot of things, mostly to do with the sea and other watery situations and entities. Still bodies of water are even more sinister and unsettling – canals, for example, water tanks or even a bathtub left full overnight. Then there are the land-based things to be frightened of: nightgown-wearing Japanese girls with long black hair; the stiff legs of a BBQ-ed Tarantula poking from the mouth of a Cambodian child; as well as be-winged flying insects, cliff edges, caving, Alzheimer’s and a wealth of illnesses and diseases that I self-diagnose on WebMD. Canals and diseases have, rather tenuously, led me to think about the last time art frightened me. Gregor Schneider’s strangely muted domestic environments complete with bodies and black, black spaces always have the capacity to jolt; Cathy Wilkes’ creepy sculpture folk are always given wide berth lest they reach out and grab my arm; Richard Wilson’s oil installations have the aforementioned Japanese teen lurking within, but perhaps also exist as a version of a Jonathan Glazer alien syrup world containing the bodies of desperate horny men lured back to a Glasgow flat by Scarlett Johannson. A couple of works encountered during a recent visit to Dia Beacon provoked some shivers. The building itself has a grey mortuary feel. 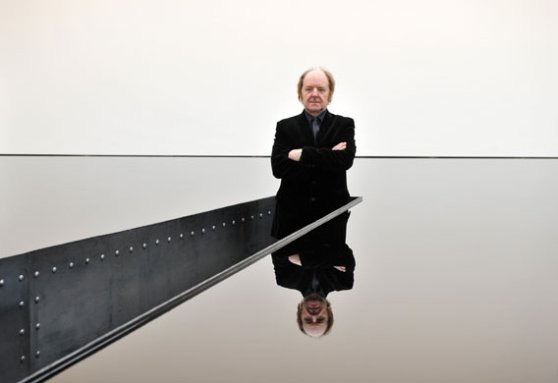 Michael Heizer’s North, South, East and West – giant black holes in the ground – have the feel of Woman in the Dunes. Once you fall in, a gallery attendant would probably come and fill the hole , burying you alive and thus completing the fly-trap artwork. 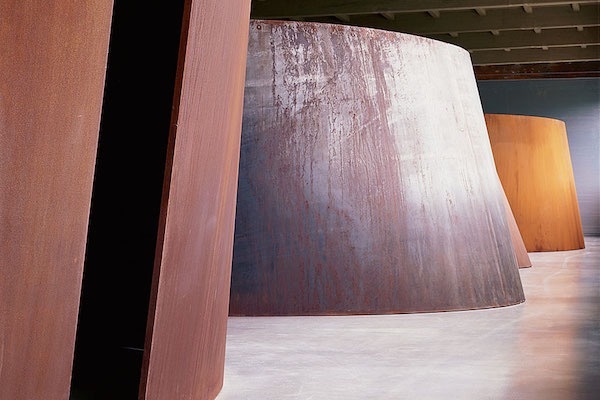 This is nothing, however, compared to the giant Richard Serra spiral sheet metal mazes found on the basement floor. The mazes seemed tighter than I remembered from Guggenheim Bilbao, heavier and altogether more terrifying. This time I could only make it a few layers inside before shrinking back, careful not to touch the walls with even a fibre of clothing lest the steel decide to contract and crush my soft edible bones.